Creepy, crawly spiders, pesky sugar ants, and disease-carrying mosquitoes – can’t we just get rid of all these annoying pests for good? While none of us enjoy stumbling across a giant spider in our home or discovering ants in the food pantry, not all insects are as evil and scary as people think. In fact, many offer environmental and economical positives that may cause us to change our minds about getting rid of pests for good. While the following insects are often considered pests, they offer other important values to the world we live in. Long summer nights and backyard barbecues are great until the sun goes down and mosquitoes attack in full force. Mosquitoes are carriers of disease and leave itchy, red welts where they inject their saliva as they draw out blood. While it may seem like we could progress in life just fine without them, we can’t forget the important role they play in our ecosystem. Mosquitoes are a significant biomass of food for other species. In areas like Alaska, adult mosquitoes emerge when temperatures rise and are an important source of food for migratory birds, fish, and other critters. If we were to extinguish mosquitoes completely, a significant portion of the animal world could be endangered. The good news is, there are preventive measures you can take to reduce and get rid of mosquitoes on your property. But for now, we’ll let mosquitos continue to serve their purpose elsewhere in the ecosystem. In the spring, sugar ants flourish and make their way into homes through tiny cracks and crevices. If left to their own devices, armies of ants can infiltrate pantries and ruin food. While we don’t recommend cohabiting with ants in the home, different species of ants are great for home gardens. Some are scavengers while others even help with pest control. 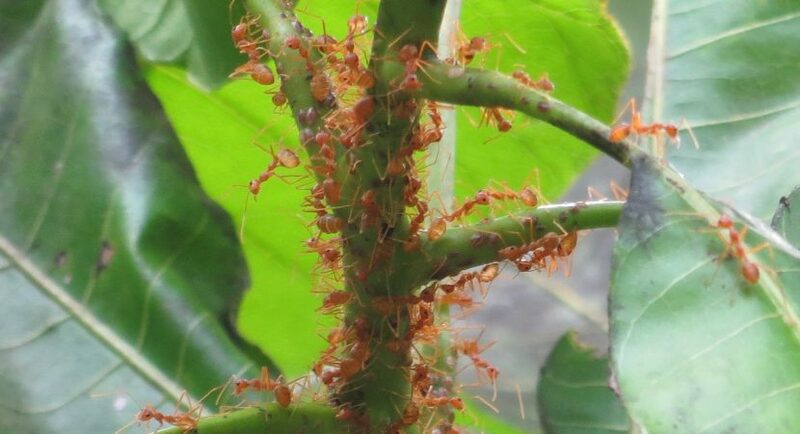 Ants offer a stabilizing effect for garden ecosystems. Without them, your home garden could easily become disrupted. Spiders get the worst rap due to their alarming presence inside homes where they don’t belong. What many fail to remember is the extraordinary level of pest control spiders offer outdoors, especially in gardens. Spiders use their webs to catch mosquitoes, wasps, flies, and other flying insects. Contrary to popular belief, spiders won’t jump out at you to catch you by surprise. They simply want to stay in their webs and eat annoying flies for you. Next time you see a spider in your home, think twice before squishing them, and maybe release them into your garden instead. While insects serve their purpose outdoors, inside a home they can quickly become pests. One or two insects may not be a cause for concern, but outbreaks or infestations need professional pest control methods. If you’re having continuous issues with ants, termites, rodents, or other pests in your home, you need to contact a pest control expert immediately. Chris Murphy is the owner of Inman-Murphy Termite & Pest Control — a leading pest control company in the Memphis area.